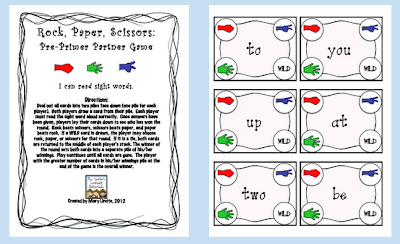 Who doesn't love adding a little sight word practice into a Rock, Paper, Scissors game? :) Grab your free copy of the Pre-Primer version on my blog. Click the pic to head there to download.